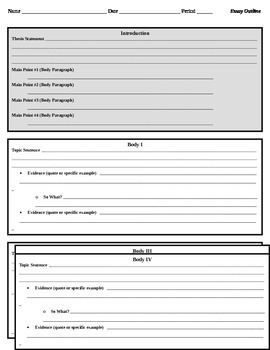 This is a general outline, organized into boxes to help students see the elements of analysis in essays. When I have my students write longer essays, I'll often tweak this by adding body paragraph sections or whatever is necessary. I use this all the time in my classroom, and this is widely employed by my department colleagues. *For some reason, the thumbnails make the boxes look jumbled, but this is not an issue after download. 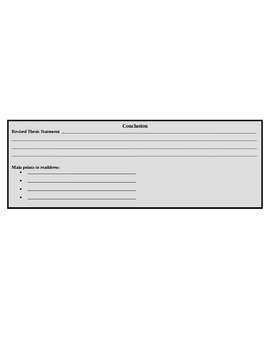 If you have a formatting issue after purchase, just email me and I can send you the file.